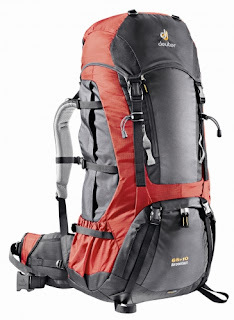 Hiking, Backpacking and Wild Camping Blog: New Backpack of Santa. I knew Santa was a backpacker, its just that his clothes are rubbish! He also left lots of bits of kit and a couple of very good hiking type books, plenty of new stuff to play with. We will be out in a couple of weeks so will certainly be putting the new backpack through its paces. Along with other pieces of kit like new boots etc we will be evaluating and reviewing all of our new kit in the very near coming weeks, cant wait !!!!!! Watch this space for reviews after our next wild camp probably in the high peeks, providing the weather is not really bad. That's the perfect trekking bag together with my alpro footwear for my upcoming adventure to the Summit! I guess now I need to get that from Northface in Kenosha. It is a great bag for the long treks when carrying a lot of equipment is necessary. I have been using it in anger for a while now so were are very happy with each others performance.